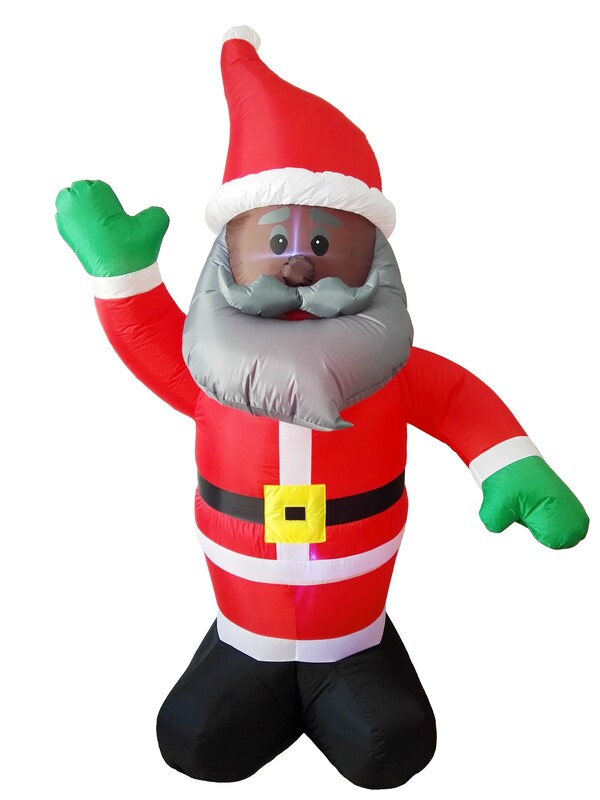 African American Santa Waiving Wearing Green Mittens! 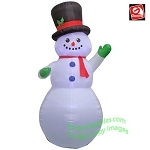 This Inflatable Christmas Decoration comes with an external fan, internal lights to create a glowing night-time display. Includes Fan, yard stakes, and tether ropes.